In a quiet and panoramic position, overlooking the beautiful Tuscan scenery and lakes, HOTEL CRISTINA offers its guests a confertovole and family. The recently built hotel is equipped with every comfort, stylish and spacious common areas, both internal and external, to spend pleasant moments of relax. The hotel also has a garage and free parking with video surveillance, and a large and fully equipped terrace sun terrace. All rooms are equipped with every comfort: bathroom, hairdryer, telephone, minibar, air conditioning , LCD TV, safe, wi- fi gratutita and balcony. The family Giulianelli pays special attention to the kitchen using materials of the highest quality and offering typical dishes of the traditional cuisine enriched for both lunch and dinner from a rich buffet of appetizers and vegetables. There is also the possibility of making meals for celiac disease and food diets for athletes and intolerant, depending on the needs of each guest. The pastry Hotel embellishes all meals and the breakfast with fresh products and more diversified. 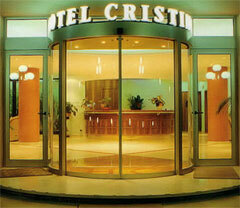 The Hotel Cristina offers to its guests a free shuttle service. 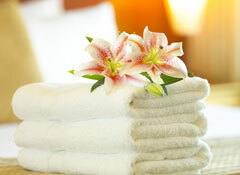 Find the Offers we have planned for you.